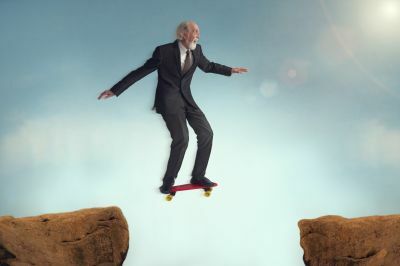 When it comes to retiring, there are a number of risks that retirees face that are specific to the retirement life stage. Unfortunately the risk that retirees may face in retirement is not just financial. They can be associated with longevity, investments, health and loss of loved ones. The financial risks faced by retirees, discussed in this article, can be reduced through certain investment strategies and lifestyle decisions, most still require careful planning and consideration. Investment Risk – the possibility of lower than expected returns affecting the level of retirement savings and future income generated. If retirees are too conservative and don't invest to grow a portion of their retirement capital then they face the risk of withdrawing more than they earn and this may result in having to rely on other income sources such as the Age Pension sooner. Inflation Risk – the possibility of high inflation which increases the cost of living and forces retirees to spend more of their capital than expected. It’s vital that income is designed to keep pace with inflation to ensure retirees can continue to meet rising costs. Past inflation data can provide some help in estimating retirement needs, but there is no guarantee that future inflation will match historical experience. Many investors try to own some assets whose value may grow in times of inflation. However, this sometimes results in trading inflation risk for investment risk. Sequencing Risk – also referred to as timing risk. This is the possibility of negative returns at or near retirement affecting the market value of investments, which can't be recouped because of the requirement to draw down to fund living costs. More recently, the Global Financial Crisis (GFC) put strain on many people planning retirement as the market downturn reduced their superannuation savings and retirement capital. This also meant that some retirees were faced with the necessity to delay retirement, transition to retirement by working part time, or reducing their retirement income expectations. Expenditure Risk – the possibility of unplanned costs and lump sum expenses in retirement which reduce retirement savings and future income levels. Unplanned costs can easily arise in retirement which highlights the importance of having a buffer and some cash savings set aside in the case of emergencies. Overspending is just one of the common mistakes retirees can make. Here are some others. Legislative Risk – changing social security, taxation and superannuation legislation. With changing Governments comes changes to legislation. This can sometimes represent uncertainty for retirees and pre-retirees, but illustrates the need for the regular review of a retiree’s financial plan to ensure appropriate strategies are in place to manage tax, income and eligibility for social security and associated concessions. Longevity Risk – the possibility of running out of money due to living longer than expected. This is potentially the biggest risk facing retirees. Many retirees use life expectancy figures to plan how long their money may last. Unfortunately, no one has a crystal ball when it comes to how long they may need their capital to last and these figures are just an average at retirement. You may end up surviving well past your life expectancy and even end up doing triathlons in your 90's, like this guy! On average, women live longer than men and wives outlive husbands in most cases. Longevity has increased over time. Any medical breakthroughs could bring additional improvement. In theory, retirees want to make sure their money will last a lifetime without cutting back on expenditures or reducing their standard of living. In practice, unexpected events may make this very difficult. Whether pre or post retirement, everyone can benefit from a comprehensive retirement plan and ongoing financial advice to regularly review and monitor their situation, cash flow and retirement needs as well as ensure they live a long, healthy and happy retirement.